Lets be honest, gymnasts might be the most brave athletes out there! This on-trend camo printed mesh back leotard with BRAVE sequins will surely shine while you perform your tricks. 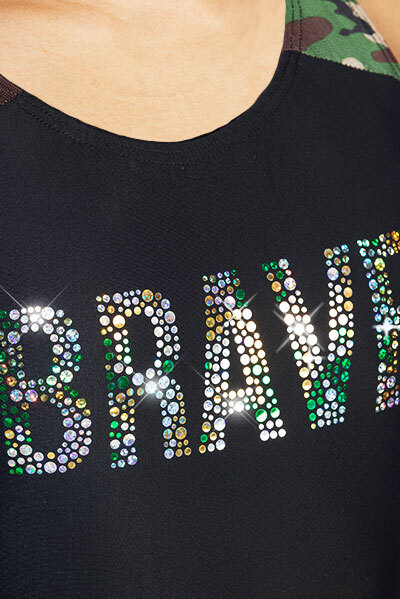 Show them how brave you are! Includes coordinating scrunchie.